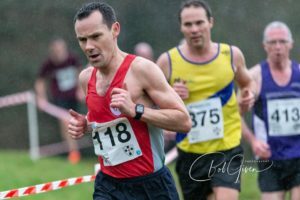 The Barnett’s Demesne was the venue for this year’s event and it proved to be a difficult enough course with some mud into the bargain. 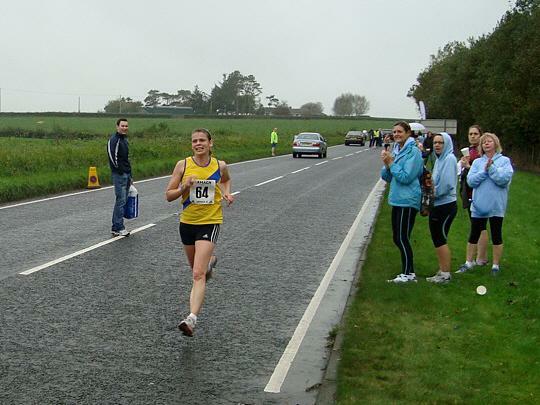 From a North Down perspective the Masters Women and Vet men O65 was the highlight with 5 members involved. 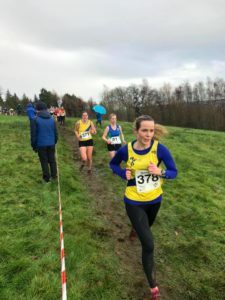 Clair Quigley continued her great form with an 18th place finish which was just ahead of Helen Byers in 24th and Roberta Dornan in 34th. 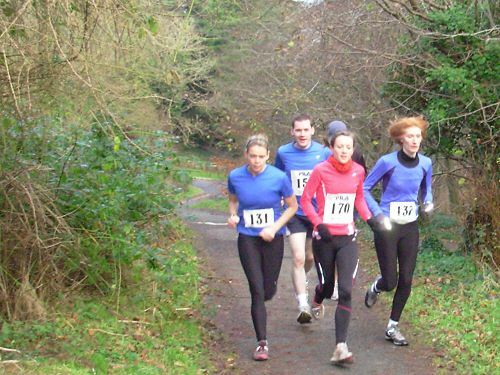 Davie Seaton returned in 8th place in the competitive O65 race and Pat O’Driscoll made it round in 12th. 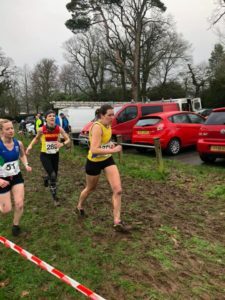 Jodi Smith unfortunately felt the pain of her foot injury and had to do the sensible thing and withdraw after the first lap. 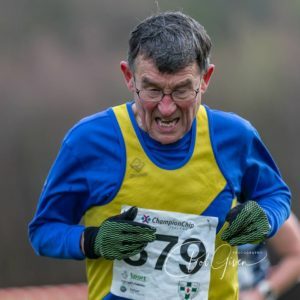 Only one runner in the Master’s men, Chris Moran made a good show of getting around the circuit finishing in 59th, something he is getting very accomplished at over this winter period. 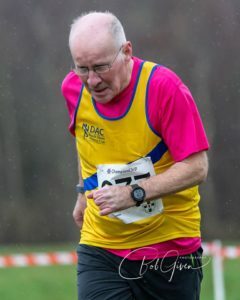 Likewise in the Intermediate mens race one athlete made it onto the start line. 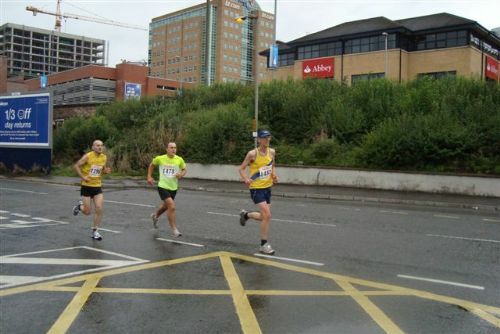 Philip Baillie flew the flag and his strong running was credited with a 55th place finish. 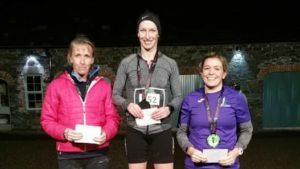 Kerry Speers was a comfortable winner at the inaugural night race around the Clandeboye estate trails. 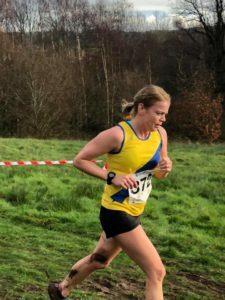 Her winning time of 42:05 was over 2 minutes ahead of the runner up.